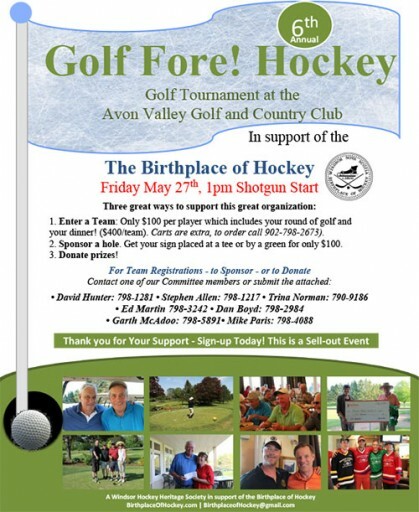 The Windsor Hockey Heritage Society is hosting its sixth annual Golf Fore Hockey fund raising tournament on Friday May 27, 2016 at the Avon Valley Golf and Country Club in Falmouth Nova Scotia. 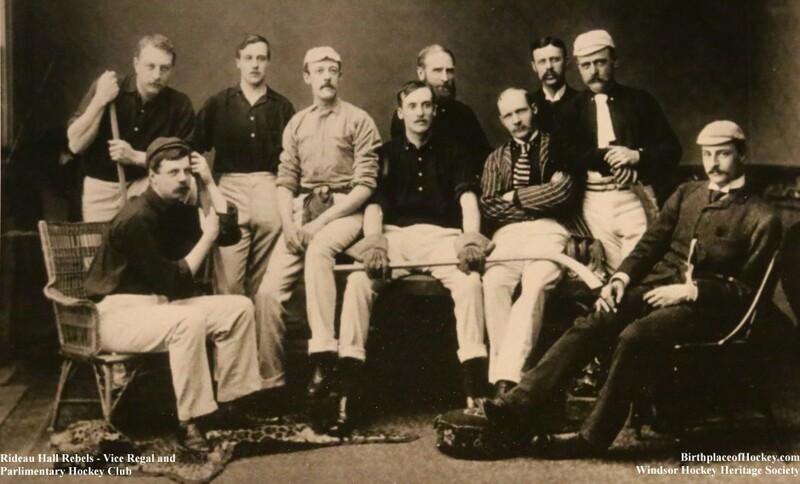 We look forward to another field of hockey supporters and lovers of golf in supporting an event that is successful in promoting the Birthplace of Hockey as well as raising the funds necessary to operate the Windsor Hockey Heritage Museum. For questions or details contact any of the representatives in the poster below or simply register today before we sell the event out!